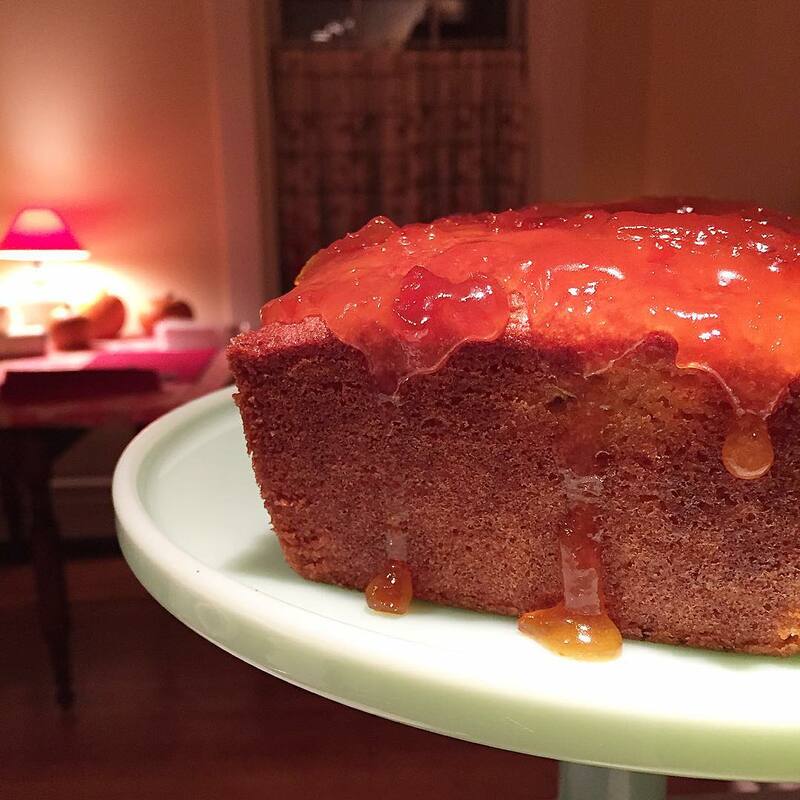 Winter solstice London/NYC mashup orange marmalade cake out of the oven and soaking up its sugary glaze. The kitchen smells citrusy and buttery and like everything you’d want your home to be on the shortest day of the year. Can I cut into it yet? How about now? Now?